"Ron Finley plants vegetable gardens in South Central LA -- in abandoned lots, traffic medians, along the curbs. Why? For fun, for defiance, for beauty and to offer some alternative to fast food in a community where "the drive-thrus are killing more people than the drive-bys."" Tasty video bit at #TEDxSydney 2013. "Every year TEDxSydney invites the creative industry to contribute by submitting video content which runs as interstitial content between speakers and performers. In the spirit of TED, these videos help celebrate the pioneering ideas we see on the stage. In 2013, fourteen remarkable videos blew us away with their creativity, smarts and passion...In particular, the "First Taste" video has surpassed all previous records, already amassing almost 2 million views and climbing. It documents, in stunningly evocative slow motion, a range of kids experiencing their very first tastes of various and distinctive foods." A Year in the Garden from Brad Hiebert on Vimeo. 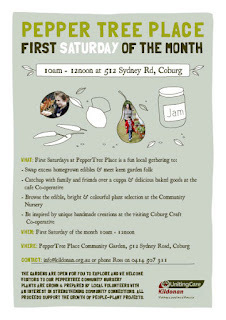 Coburg Farmer's Market goes off and it's on again this Saturday! 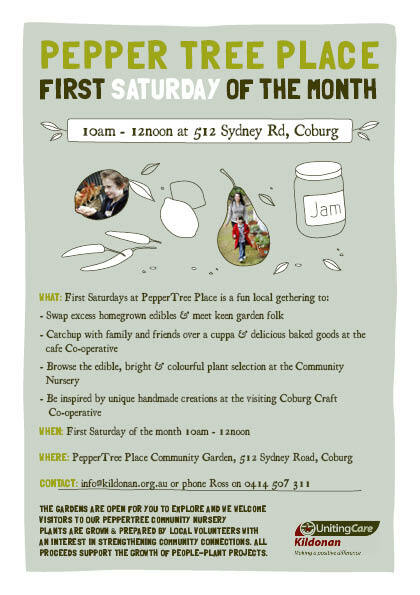 A few weeks back I saw yet another inspiring example of people in Moreland doing something simple but awesome - the Coburg Farmer's Market. 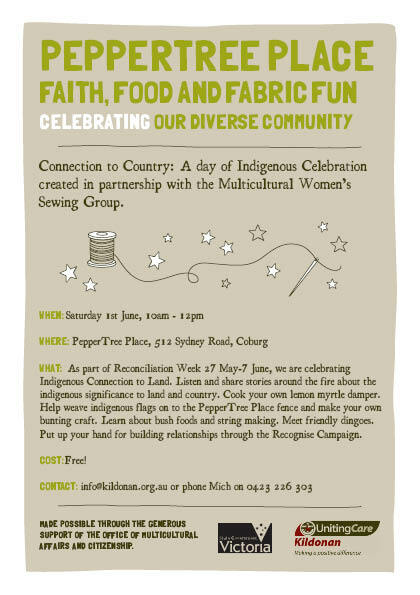 Even though I didn't have anything to do with getting this going, I must admit that I really want it to be a success and I was feeling a tad nervous as we walked to Coburg North Primary School on Saturday morning. Would enough people show up? Would there be enough producers? Would there be a good mix of interestingness and everyday? I needn't have been concerned. People came in their hundreds and even though I'm sure there were plenty just having a look, the traders/producers seemed happy enough with how things were going. There were seasoned stall holders who frequent other farmer's markets around Melbourne and others who hadn't done it before and a good mix of stuff. I don't think I was the only local grateful that so many had showed up either. I saw looks of relief and happiness on lots of faces. To those who worked hard to make this happen, to the growers and makers and to all the people of Moreland and elsewhere who came along - thanks. I'll be going back. Long may it continue. You can purchase meals and drinks at The Courthouse and there are lots of great eateries on Sydney Road. Places for this free event are limited so book early, and please let us know if you are then unable to attend so we can give someone else your place. 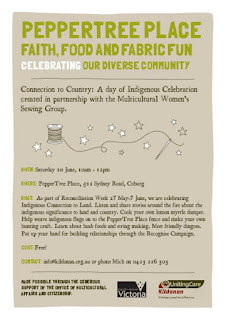 Connection to Country: A day of Indigenous Culture Celebration in partnership with the Multicultural Women's Sewing Group. An icy wind and some very friendly animals welcomed us to Taranaki farm. Set in the rolling hills behind Woodend and with stunning views to Mt Macedon, Taranaki farm is impressive to begin with. This is a fourth generation family farm, now run by Ben Fallon and inspired by the practices of the famous Joel Salatin from Virginia USA, who promotes poly face farming or regenerative agriculture. These are systems with a high diversity and are commercially viable. You can read more about Joel Salatin’s farm here. Ben spoke a lot about letting animals express them selves – chickens should be able to express their chicken-ness and also how their nature can be utilised. The farm is possibly best known for the chicken tractor system which follow the movement of cattle. The cows are moved into a new area each day, this is know as cell grazing, and mimics their natural movement over grasslands, high density herds moving to fresh ground each day. This means grass has time to regenerate and the ground doesn’t become overly compacted. The grass certainly was thick and the earth spongy underfoot. Chickens follow 4 days behind the cows, scratching up any cow pats to get the insects underneath thereby spreading out nutrients and sanitising the ground from parasites. The also add their manure and so improve the quality of the pasture long term. An the by-product? Eggs!! At Taranaki farm everything seems to move often. There are also meat chickens in moving shelters, a mobile dairy, a large A frame with chickens for intensive egg production and forest pigs. Even the fences aren’t static being made from star pickets and eclectic wires. Dams, swales and roads are built on contour in harmony with the existing shape of the land to maximise water infiltration. This is a managed ecological system. More information about Taranaki’s farming techniques are available on their web site. He also spoke about how its important to become reconnected with the land, that people in cities shouldn’t forget they are a biological entity- they are part of the earth’s ecosystem whether its acknowledged or not. To acknowledge this Ben recommends that we patronise local farmers, so we have a connection with our food, we know what’s in it and how it is grown and its impact on the earth. So for the things you can’t produce yourself find a local farmer! Ideas for how this can be done at include farmers market, community supported agriculture, our local Eaterprises network or setting up your own co-op system. Taranaki farm runs monthly tours, host’s interns and is well worth a visit.